Philip Philips is the 'American Idol' Season 11 Winner! 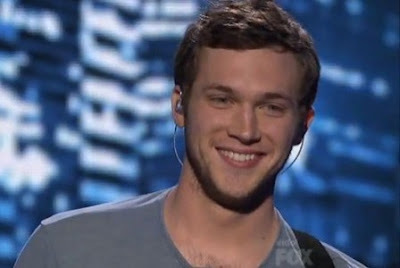 The white guy with a guitar Philip Philips is the newest American Idol! By a virtue of a whooping 132 million votes, Philip was hailed as the "American Idol" Season 11 Winner beating our very own Jessica Sanchez. 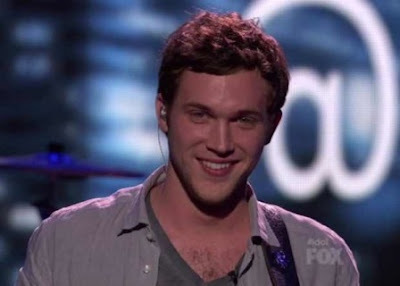 Here is the Top 12 ranking of this season's "American Idol:"
Philip is now joining David Cook, Kris Allen, Lee Dewyze and Scotty McCreery as the "American Idol" winners for five consecutive seasons. Hmmm...what do you think these five American Idol guys have in common? !